Disney Channel has done it again. Last night they tugged on my faint memories of an old Disney Channel of the early 2000s. For the past couple of years, Disney Channel has been known to air classic Disney Channel Original Movies (DCOM) around 2 a.m. on weekends, and I was not ready for what they decided to show on Sunday night. Usually it’s just another old flick, like the Halloweentown or High School Musical, but Disney went way back and aired Cadet Kelly. How could you Disney Channel? It was way past my bedtime and I could not afford to stay up any later because of my 9 a.m. class. It took me about 15 minutes to find the courage to turn the TV off and get some shut eye. 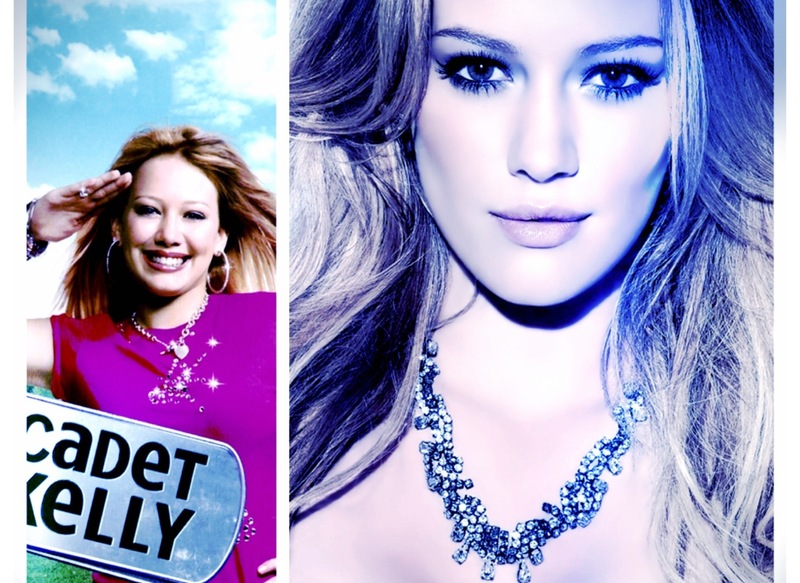 The hardest part of choosing sleep over Cadet Kelly was missing the chance to take a glimpse into The Ghost of Hilary Duff Past, circa the Lizzie McGuire era. It seems like its been ages since I saw Duff on a Disney Channel screen, and I must say, I miss it. This all all seems somewhat coincidental since Duff is currently working on a career comeback since giving birth to her first child early last year. If you haven’t been trolling the blogosphere for the up-to-date details on Duff’s next move, no worries, I can fill that void. She will soon guest star on the Fox comedy, Raising Hope. She also just signed a development deal with Fox to produce her own show. And let’s not forget Duff is a woman of many talents. She hasn’t dropped the microphone for good. Hil’s been in and out of the studio for the past year working on new music. Duff is on her way to the top. She’s managed to do all this while maintaining a relatively private and drama free life, unlike her other teen bopper counterparts. So Lizzie, Hilary, beloved wife and mother. Do your thing, girl. I’ll be waiting for what you have to offer. In the meantime, I’ll probably search the Internet tonight for an online version of Cadet Kelly. Also, speaking of Cadet Kelly, has anyone seen or heard from Christy Carlson Romano lately? Apparently she was in the movie as well. But after the end of Even Stevens and Kim Possible, she seems to be kind of off the grid. Where has she been?